What is a Bocar you may be thinking? Its no ordinary vehicle, its quite a speed machine. The Bocars were created and produced by BOb CARnes (do you get where he came up with the name from?) during the late 1950s and early 1960s in Lakewood, Colorado. The vehicles were available in both kit or assembled form. The majority of Bocars were intended for track and competition use, but they could be driven on the road. Bob’s first creation was the Bocar X-1, which was built using Jaguar suspension and brakes at the front and a Lincoln live axle at the rear. The powerplant was a 283 cubic-inch Chevy V8 engine. The body was made of lightweight fiberglass. The X-1 was entered in the 1958 Pikes Peak Hill Climb where it finished in fifth place in the sports car class. The car was promising, but needed more refinement and power. After several iterations, the XP-4 was born (P for ‘production). An unknown number of XP-4s were available near the end of 1958 and offered as a kit car or as a complete package. The fiberglass body sat on a 90-inch wheelbase chassis to which Volkswagen or Porsche suspension could be found in the front, of course given extra modifications by Carnes. At the back was an Oldsmobile live axle with torsion bars. One Bocar was given a set of the latest Jaguar disc brakes, but most were fitted with either Chevrolet or Buick drums. Engines were mostly eight-cylinder units from either Pontiac or Chevrolet and matted to a Borg-Warner T-10 four-speed manual gearbox. A completely assembled example would set the buyer back about $6450. The Bocar XP-5 (white car above) was very similar to the XP-4. Main changes were to the brakes which now incorporated Buick Alfin drums. Weight distribution was improved; the XP-5 had a 44% of its weight in the front and the remaining in the rear. This was achieved by moving the engine back into the frame and offset to the right. This improved weigh distribution enhancing the vehicles balance and giving it better traction. Several XP-5 Bocars competed in the Pikes Peak Hill Climb and proved very competitive in the sportscar class. Bob Carnes himself raced a number of times, competing against local racer Frank Peterson (see image below) for several years. 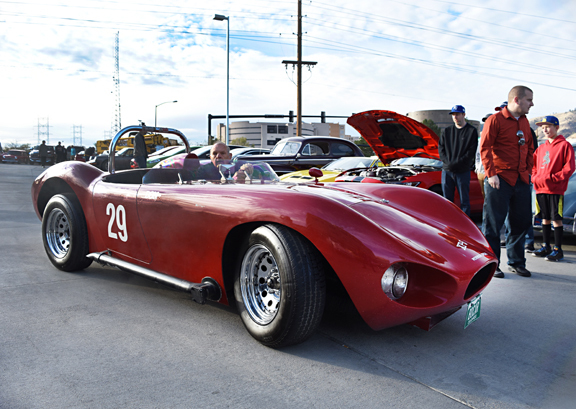 Frank was reunited with this very chassis at the November Hagerty Coffee & Cars event in Golden Colorado this year (below). 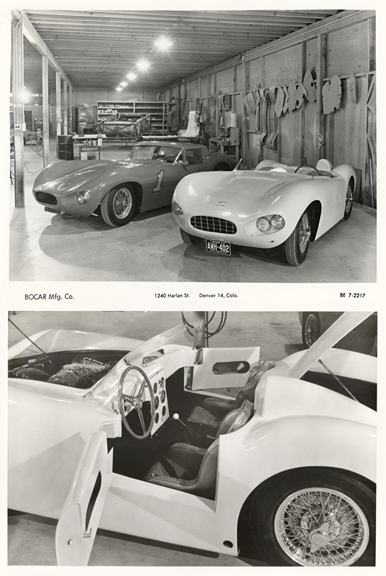 The Bocar XP-6 (the darker car in the top image) incorporated a supercharged version of a Chevrolet V8. The chassis was enlarged by 14-inches to accommodate the supercharger unit. Horsepower was around 400bhp which required changes to the suspension. The suspension was beefed up to include a solid axle with torsion bars in the front and a live axle with torsion bars in the rear. The car was quick, but never really gained much national attention. It seems only one example was ever created and was used as Carnes’ person car. The Bocar XP-7 was the next evolution of the Bocar racers. It was very similar to the car it replaced and had a Volkswagen front end. At a price tag of nearly $9000, the XP-7 was produced in very low numbers. Bocar’s last racer built was for the 1960 season, the longer, more streamlined Bocar Stiletto. It would appear that less than four were created and carried a price tag of about $13,000. The car was intended to race during the 1960 season. Power was again from a supercharged Chevrolet V8 engine mated to a four-speed Borg-Warner T-10 transmission, and once again it had a space frame chassis and a fiberglass body. 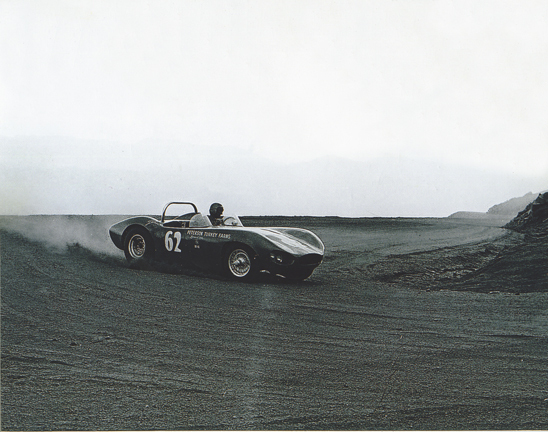 The early Bocar Stiletto was raced at Pikes Peak by Carnes himself, but it encountered problems. A second example was built and sold to Tom Butz for driver Graham Shaw. This second car had a Hillborn-injected small-block engine. A third example is believed to have been built. 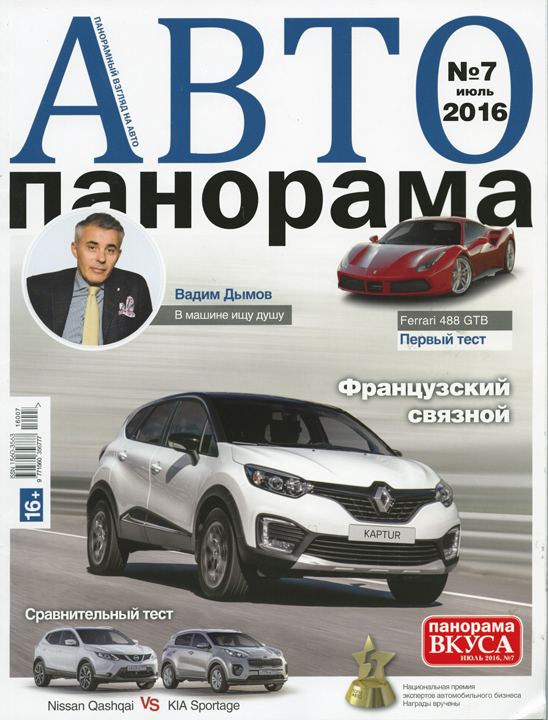 Авто Панорама is Auto-Archives first Russian magazine! Auto-Archives recently received a donation of magazines from Christian and Katya Braun of hobbyDB. In amongst them we came across this unusual magazine that Katya brought back from a recent trip. 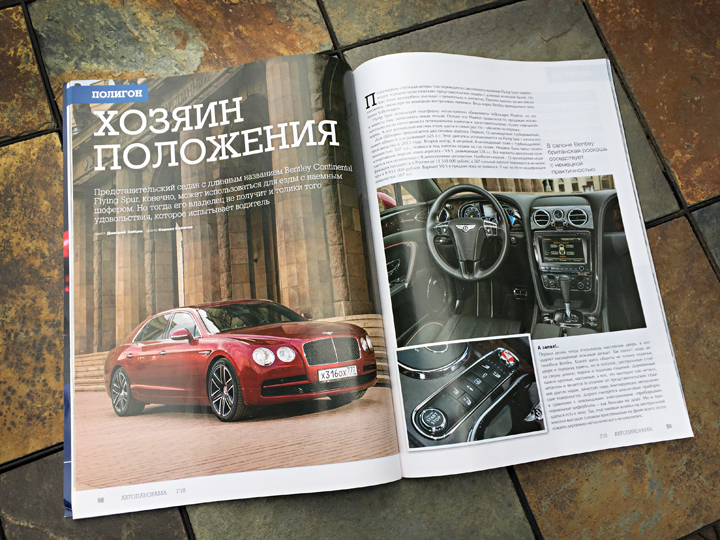 It is the first Russian magazine in Auto-Archives! 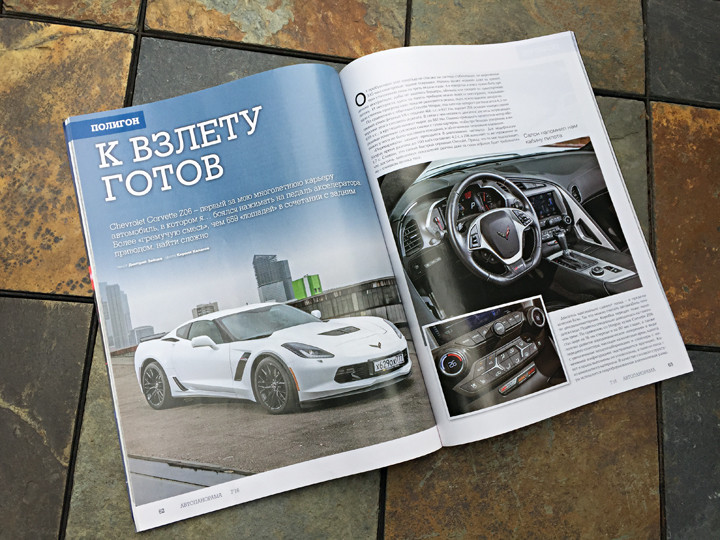 To be honest it has been hard to find much information on Russian magazines, in English that is, so if there are any Russian speakers out there who can help me put together a story on Авто Панорама, which translates to AUTO Panorama, it would be good to hear from you. This 112-page edition of AUTO Panorama (2016 #7) features some interesting looking stories on recent car releases from European manufacturers Renault, Citroen, Audi, Skoda and Ferrari. Far Eastern cars featured include Nissan, Mitsubishi and Kia. There are nice stories on the new Bentley Flying Spur and the Corvette ZO6. Both of these cars are photographed with Russian license plates on, so it’s nice to know they are real road test stories. Just wish I could read them to know their opinion of these cars. 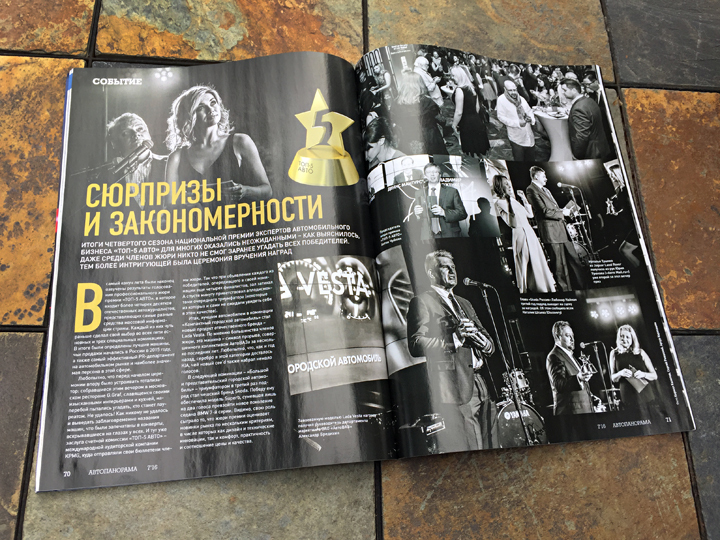 There is also a 6-page section in the magazines covering an awards ceremony which I am guessing was some sort of 2016 car awards. The photo images in the archive are held with full copyright agreement from the copyright holder. If you have any automotive related materials, or know of anybody that may have items that they would like to donate, please contact us. Auto-Archives will become one of the leading homes of historical automotive documents, photographs and memorabilia. In an open friendly environment, allowing unprecedented access to documents, photographs and automotive ephemera.